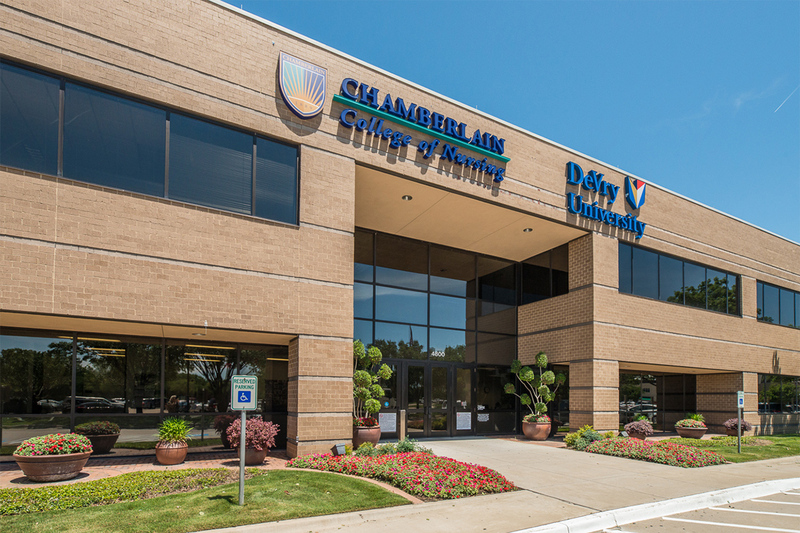 Chamberlain College of Nursing is an accredited nursing school with a campus located in Irving, Texas. 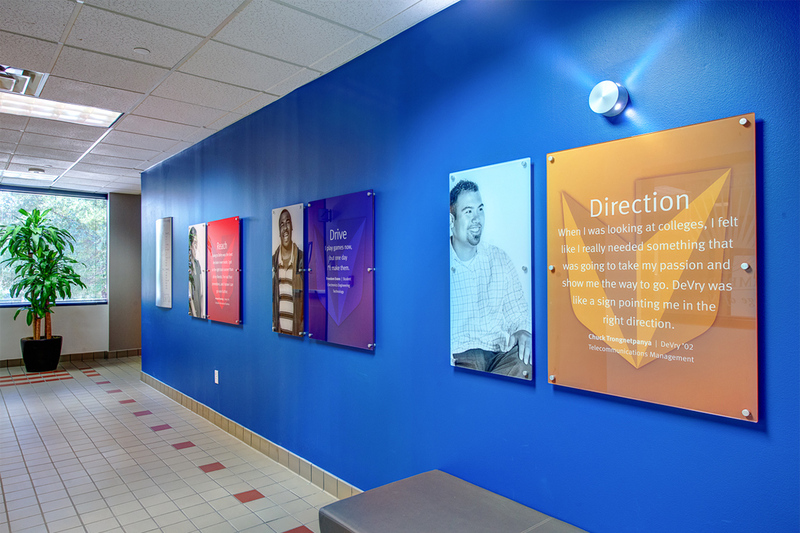 The college wanted to update several areas of its campus, and also build out new areas to accommodate its merge with DeVry University. 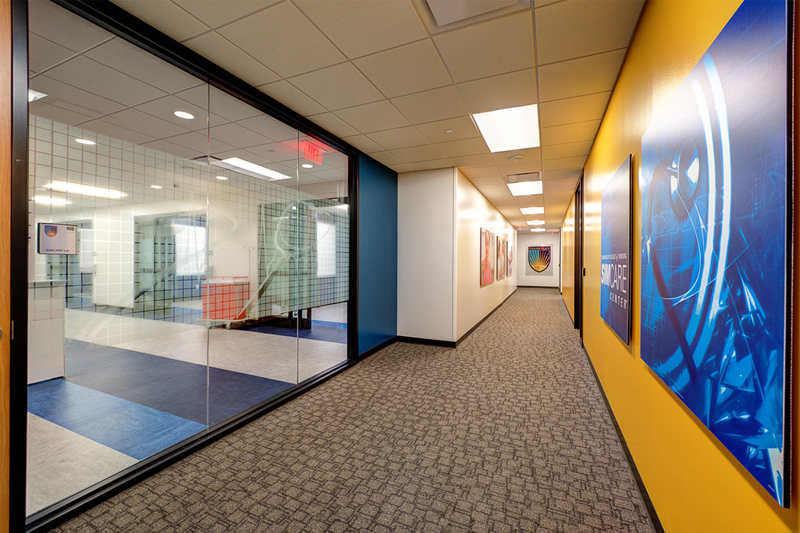 The project included renovating three floors and building out offices, testing rooms, labs, corridors, and common areas. 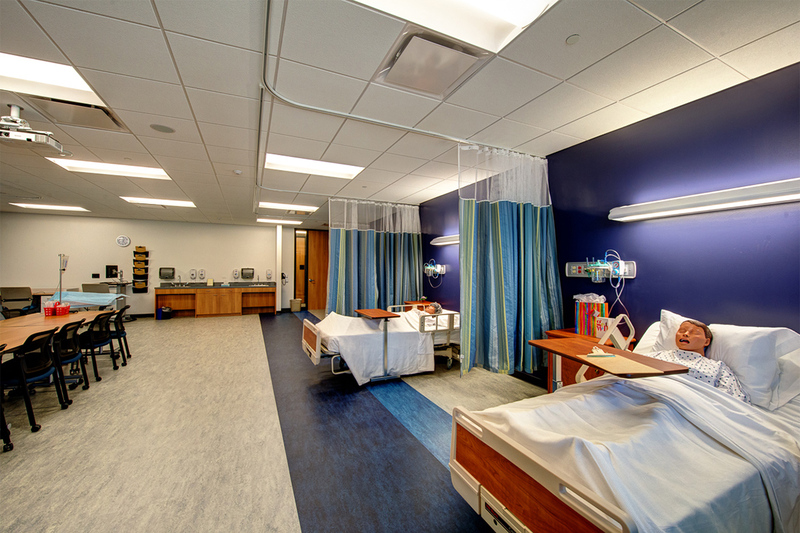 Abstract Construction was engaged as the general contractor for the $3.5 million, 115,000-square-foot project. 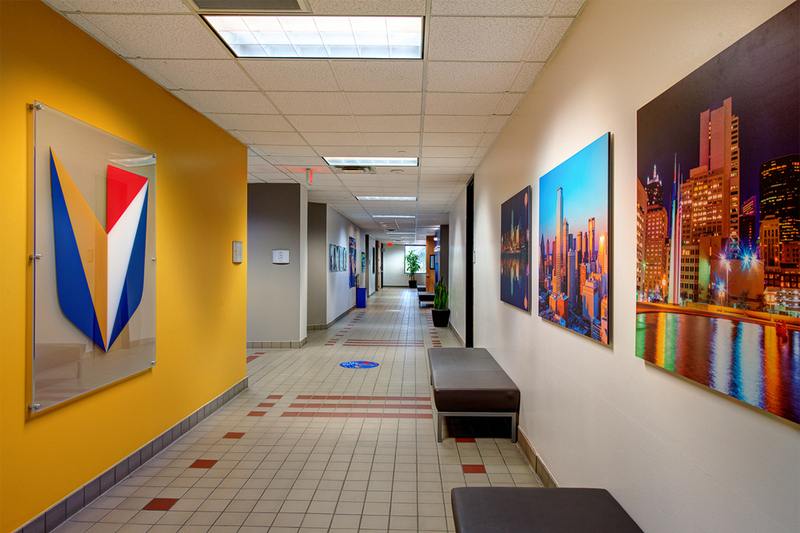 Interior Architects, Chicago was selected to be the interior architect and designer. 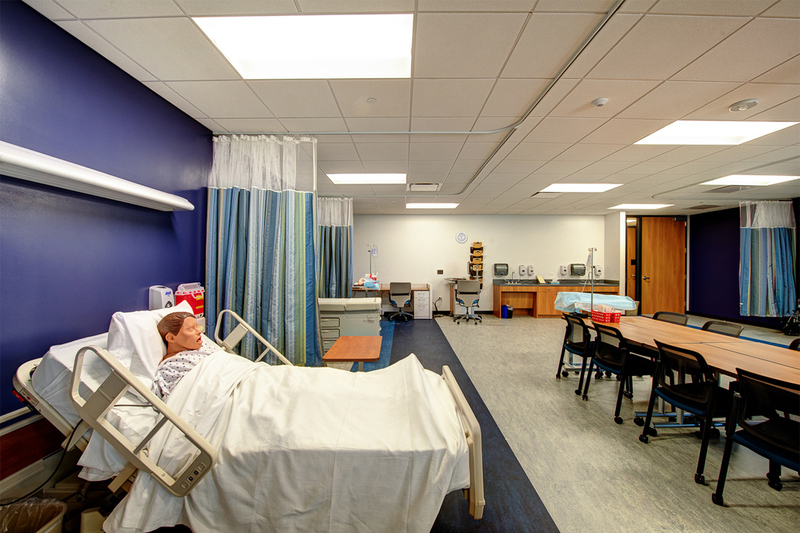 Chamberlain College of Nursing is home to hundreds of students, professors, administrators, and staff. Because of the many people occupying the campus throughout the day and evening, the Abstract team had to work around class times, office hours, and professor schedules for the duration of the project. 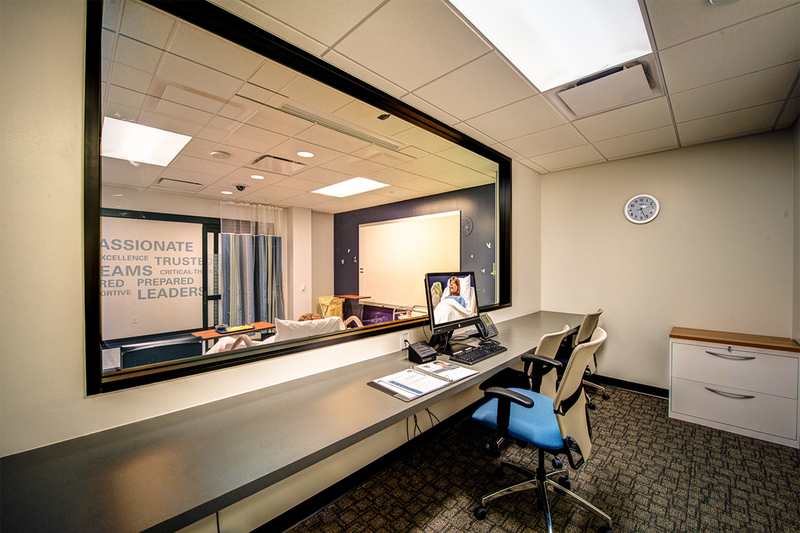 The work required constant communication and coordination between the contractors, vendors, real estate teams, and representatives from Chamberlain and DeVry to ensure long lead times were considered and deadlines were met. 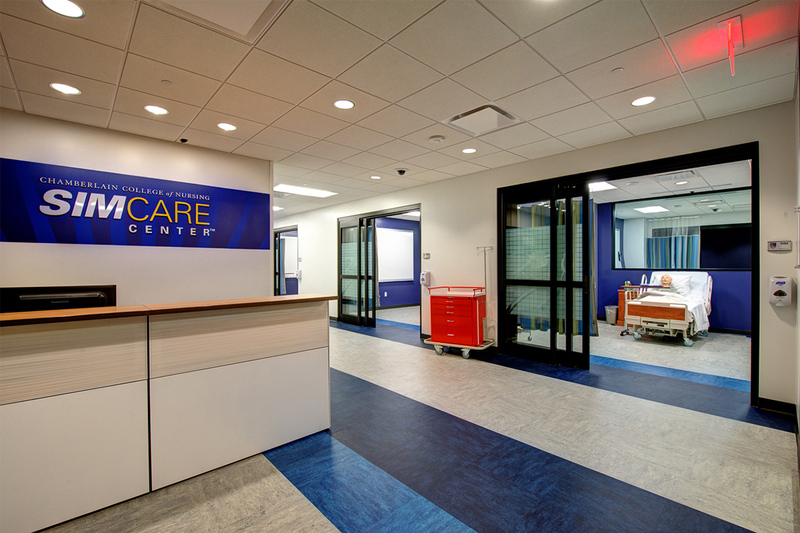 Construction materials were brought in through side entrances in between busy times, and installation of flooring, windows, chemistry labs, offices, and all other areas had to be precisely coordinated. The team had to ensure that every phase of the project was carried out with the highest standards to ensure noise control, proper debris collection and removal, and campus safety. 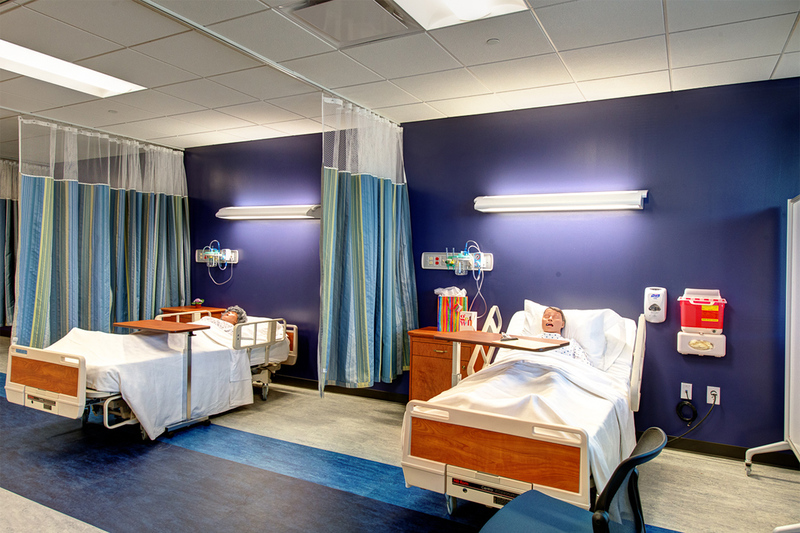 Abstract Construction was charged with managing all aspects of this complex multi-phased project, ultimately realizing the client’s vision for a welcoming and professionally designed academic campus. 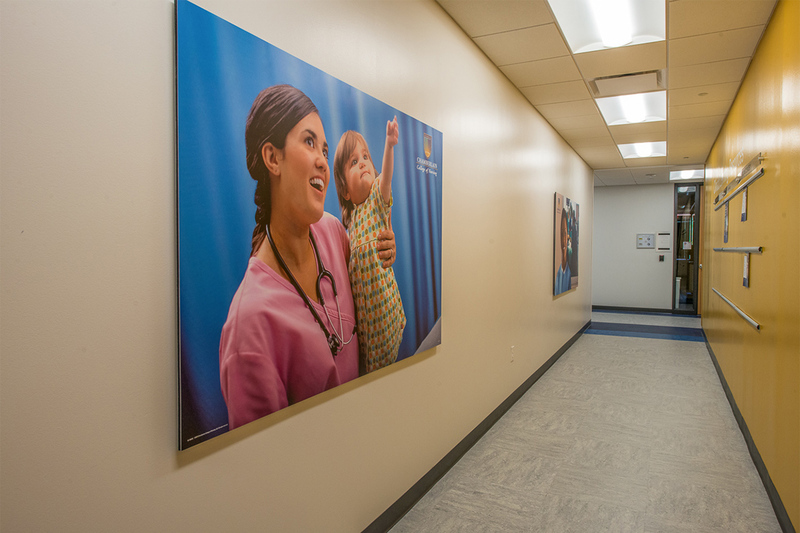 From the renovated reception area and lobby to the classroom areas and labs, the campus was updated to reflect the brand standards. 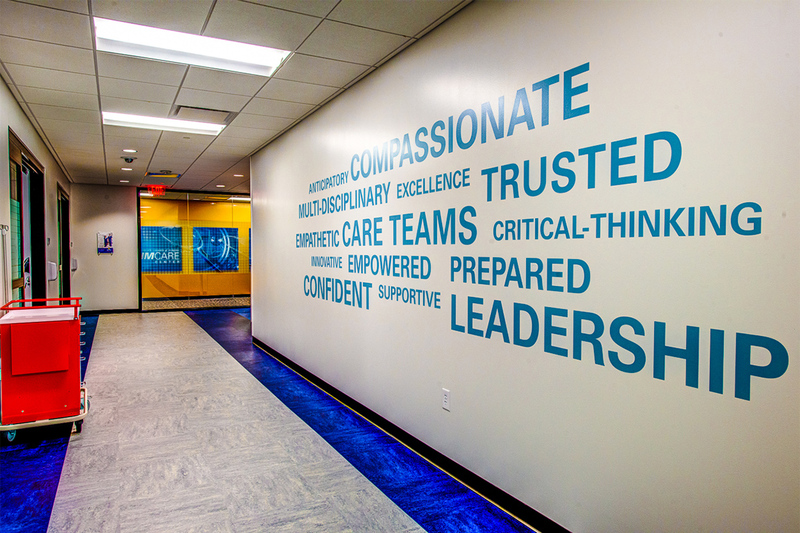 Wall graphics, art work, signs, and company logos were installed throughout the campus, and all furniture and accessories reflect the brand’s color palate and style. 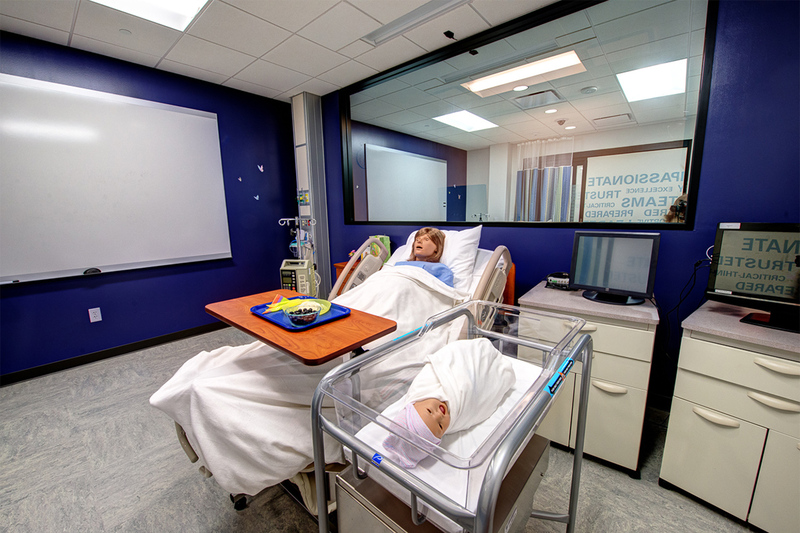 The project also called for the installation of areas specifically used for nurse training, such as a maternity ward, patient rooms, and chemistry laboratory. 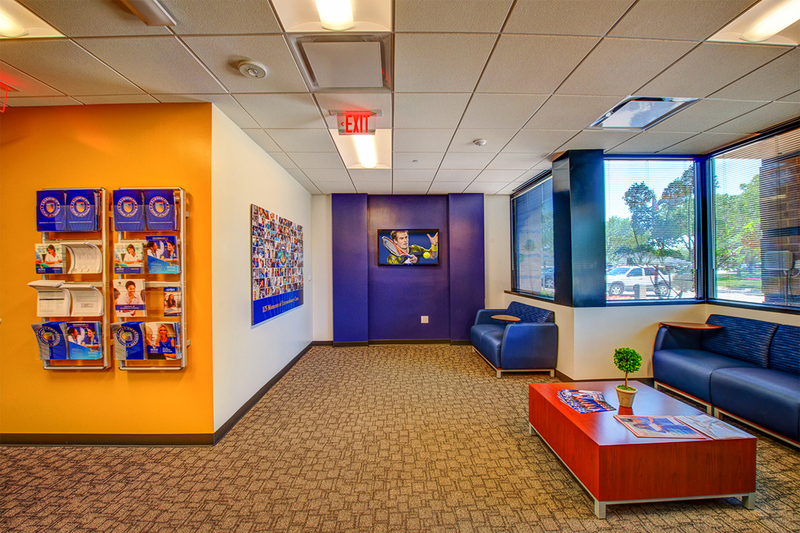 New offices for DeVry staff and administrators were also constructed. Abstract Construction managed the project from beginning to completion, overseeing all subcontractors to ensure deadlines were met. 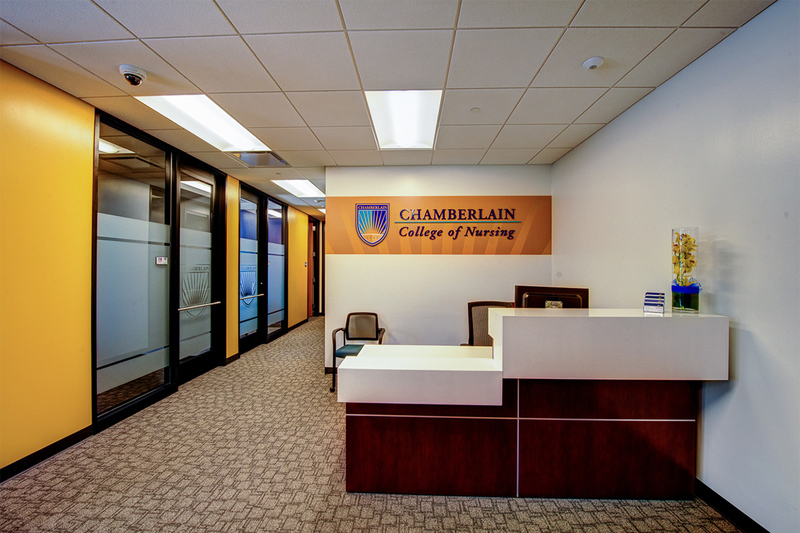 Chamberlain College of Nursing was happy with the results and all of their expectations were exceeded. 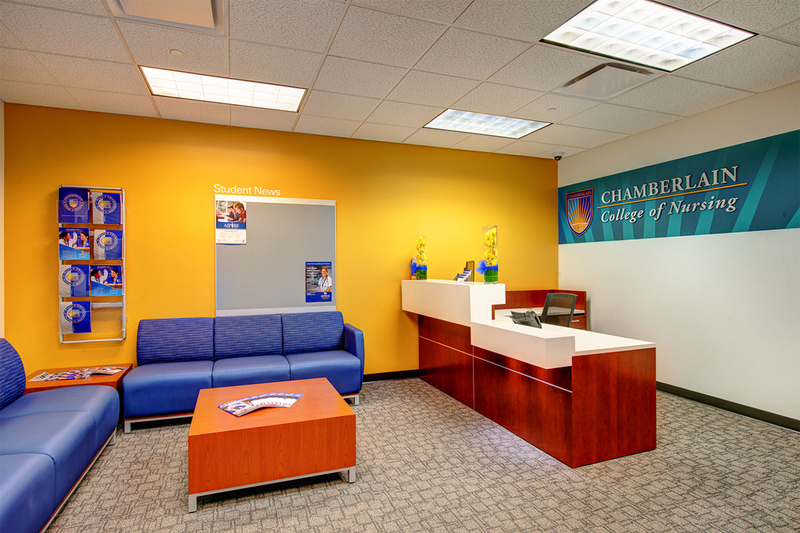 Chamberlain invited Abstract Construction to continue its work by renovating additional campus locations. 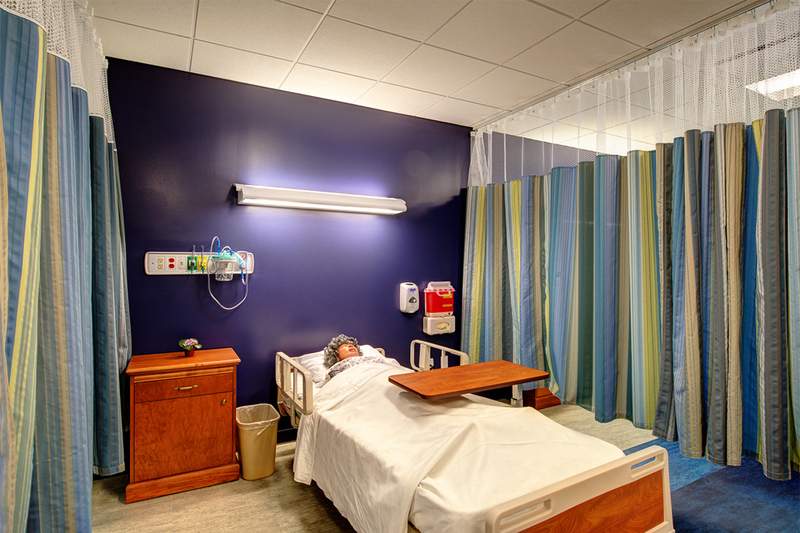 Abstract delivered the project on time and on budget and the Irving campus continues to help students succeed in their mission to obtain a degree in nursing.